Whether you are pursuing your real estate license for the first time, or you are working on a renewal, we know that you probably have questions about different aspects of the process. 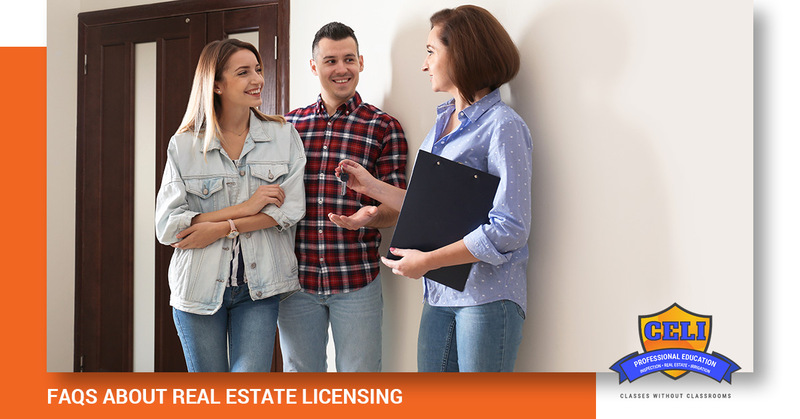 Continuing Education for Licensing wants to help make your process as smooth as possible, which is why we’ve put together a list of some of the most frequently asked questions about real estate licensing. When you’ve finished reading, be sure to call us in Caton and let us know what you need as you pursue a license in real estate. 1. How long does it take to get a real estate license in Texas? There are a number of different factors that impact the length of time it will take to get your license, but the average time frame is between three to four months. There are a number of steps you will need to take such as course completion, exam preparation and testing, fingerprinting, and a background investigation. You will also need to find an actively licensed Texas real estate broker to sponsor you. 2. How do I renew my license? If you already have your real estate license, then you need to make sure that you meet the requirements for renewal so that you don’t allow it to expire. Determine the date of renewal and then make sure to complete the appropriate continuing education requirements and pay the renewal fee. 3. How long is the Texas real estate license exam? The Texas real estate exam for licensure consists of 110 questions, and you will be allotted a time period of two and a half hours to complete the exam. 4. How much does it cost to get a real estate license in Texas? As with other steps in this process, there are a number of factors that impact the total amount you will pay to get your license. 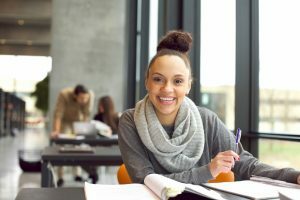 There is the fee for your state application, as well as other related fees such as a new sales agent fee, the exam fee, and other pre-licensing coursework. 5. Can I apply online if I have my broker’s license in another state? The short answer is no. If you wish to apply as an out-of-state broker, the state of Texas requires that you submit an application in paper form, along with other requested documents, and any applicable fees. 6. If I have my real estate license in another state, can I be exempt from the National portion of the exam? Yes, you can be exempt from taking that National portion of the exam if you hold an active real estate license in a state that participates in the National exam with the Association of Real Estate License Law Officials (ARELLO). You will need to submit some additional paperwork to verify that you are exempt from this portion of the test. 7. If my real estate application was filed with a different name than what is on my ID, will this prevent me from taking the exam? Unfortunately, this will create a problem for you, as the name on your government-issued ID must match the name on your application for a real estate license. If you find yourself in this situation, then you will need to submit a request for a name change. You will need to provide a copy of your ID, your name as it is on your application, and your phone number. 8. If I have completed several courses for my law degree, can any of these credits be applied towards the courses I need to become a licensed real estate agent? The courses you were taking towards a law degree are not transferable for you to obtain your real estate license. You will need to determine which courses are required for real estate licensure and pursue those. 9. Do partnerships need to be licensed if brokerage activity is performed under the partnership name? All businesses that are engaged in brokerage activity in Texas are required to be licensed. There are also some additional requirements that need to be met. You will need to make sure that you and anyone else involved in the partnership stay current with these requirements. 10. Does Texas have reciprocity with other states? Reciprocity means that there is an exchange of privileges for mutual benefit — in this case, your real estate license. If you are planning on pursuing a real estate career in Texas, however, you need to know that it does not have reciprocity with any other state. You will need to take the steps that are required to obtain a current real estate license in Texas. Continuing Education for Licensing has the experience and knowledge you need to successfully pursue the courses and exams that will help you to obtain your real estate license in Texas. We are here and ready to help with all of your continuing education questions. Call today and let us help you achieve your career goals.